What does the Rotary Leadership Institute offer? 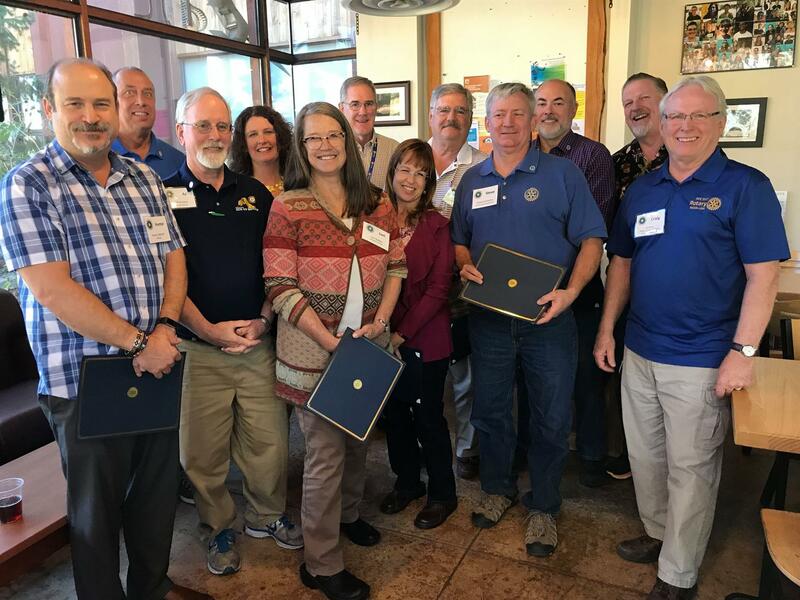 The Institute recommends that clubs nominate those Rotarians who appear to have the potential for club lead- ership, not necessarily as future presidents. They should preferably be at least 3-4 years away from a possible presidency or other key leadership post. Candidates should certainly have a strong interest in Rotary and be ready to be exposed to the larger world of Rotary. The Institute requests each club to nominate one or two Rotarians each year and to support previous nominees in completing Parts II and III. The Institute believes in course sessions with as much discussion/participation as possible. Discussion breakout sessions are limited to approximately 10-15 persons. Lectures are strictly limited. Course methods include discus- sion groups, role-playing, problem solving workshops, creating projects and audiovisual presentations. Everyone participates during one of the Institute’s sessions. A course workbook containing an Institute Manual, session program agendas, faculty listings and course outlines and materials, is provided to each attendee. How do I register for RLI? Use the Register link on the menu above to obtain registration information and register for future sessions.